There’s no rules posted on how to behave while on metro but I think it’s important to review these unspoken rules from time to time. · If you need to add money to your metro card, please let other riders enter the bus first. · If you notice a bus is full, proceed to stand at the very back of the bus to allow more space for incoming riders. 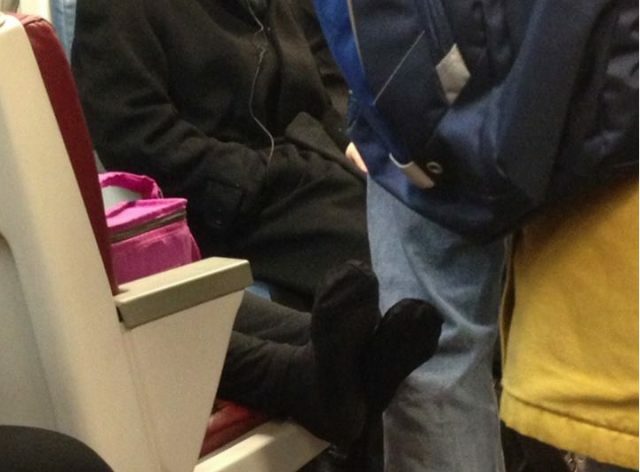 · Do not take up more than one seat, especially if you’re just using it for your handbag. · If you’re riding public transportation only for a couple stops, do not inconvenience other metro riders by squeezing yourself into a seat only to have to get back up again soon after. · To avoid holding up foot traffic, take out your metro card well before you must tap it into the station. · Do not take up more than one seat, especially for your belongings. · Let people get off the train before pushing your way in, especially if you know the train is packed. · Do not stand in the center of metro walkways when awaiting a train, leave enough room in the platform for people walking to get by. If you need to stop to text, do it against a wall or anywhere out of a busy walkway. · If you are not handicapped and sitting in a handicapped seat, you must be FULLY self-aware of your surroundings at every stop in case a handicapped or pregnant woman is to board the bus/train. · If you’re capable enough of grabbing a newspaper, have the courtesy to toss it or pass it on to someone else after you’re done with it. · If you are carrying big luggage, position it in a way that is not blocking the entrance to other seats or entrances/exits. Last, but not least, greet your bus drivers and WMATA employees and treat them with respect. Ed. Note: And for the love of God DO NOT under any circumstance Clip Your Nails!!! What else is missing?